Bossong Plumbing now serving Washington and Allegheny County, PA! 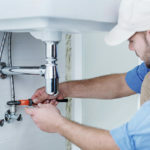 Hire a Master Plumber with years of experience in all aspects of the trade. We are ready to help! Call today for the solution to your plumbing emergencies: (724) 470-9674! Turn to Bossong Plumbing for your plumbing needs. We serve the Washington and Allegheny counties and are committed to your satisfaction! Professional, fast and affordable plumbing services are just a phone call away. Bossong Plumbing has extensive knowledge, conscientious determination, and a strong work ethic. 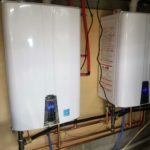 Bossong Plumbing can help you with the following plumbing needs: Faucet and toiler repair, water heater installation, plumbing fixture installation, general and commercial plumbing, and more! Most people will experience a leaky or broken faucet from time to time. From bathrooms to kitchens to laundry sinks, faucets have a way of malfunctioning at the most inconvenient of times. 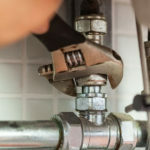 Fortunately for home and business owners in the Washington and Allegheny counties, Bossong Plumbing is on hand to provide quick, cost-effective faucet repair services. If it’s time to update the bathroom or kitchen at your property in Washington or Allegheny County, PA areas, rely on Bossong Plumbing. Our plumbing fixture installations won’t break the bank. We know you expect a punctual and reliable service that will give you value for your money. No matter the scope of your project, we’ll be certain to see it through to your complete satisfaction. As a business owner or manager in the Washington or Allegheny County area, you’re aware of how important a role your plumbing plays in your overall operation. Without a solid plumbing infrastructure, your place of business could be subject to a host of inconveniences and interruptions. When you need reliable commercial plumbing work for your small or large business, trust Bossong Plumbing to provide the service you’re looking for. I needed someone to run a camera through my storm sewer line to make sure there were no leaks before work started on a sump pump for my basement. I was having trouble finding someone to do that work when I came across Joe Bossong. Not only did Joe agree to come out but he told me about a coupon special they were having for camera work. Very friendly, professional and customer focused. I would definitely hire Joe for future plumbing projects. 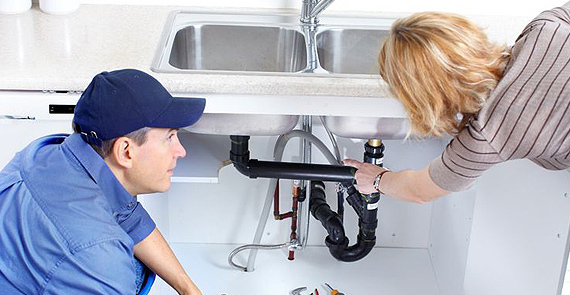 Bossong Plumbing was highly responsive during the initial contact and reservation process. They called the night before to confirm the appointment and arrived on time. They treated my home with respect and completed the job quickly with high quality. Highly recommended. I called about a commercial project. They met me at site as promised . I received quote back next day. We hired them and they finished project on time. Very easy to work with. Nice to have a company that does everything they say they are going to do and on time. We will use Bossong again. At Bossong Plumbing, we take great pride in making sure that your experience with us was a great one! We also want to know if there is something we could improve upon. If for any reason, you are unsatisfied with our work, please call, text or email our owner Joe at 724-470-9674 or bossongplumbing@gmail.com. If you are happy with our work, it would be greatly appreciated if you could review us on Google. Please click here to review us online today.